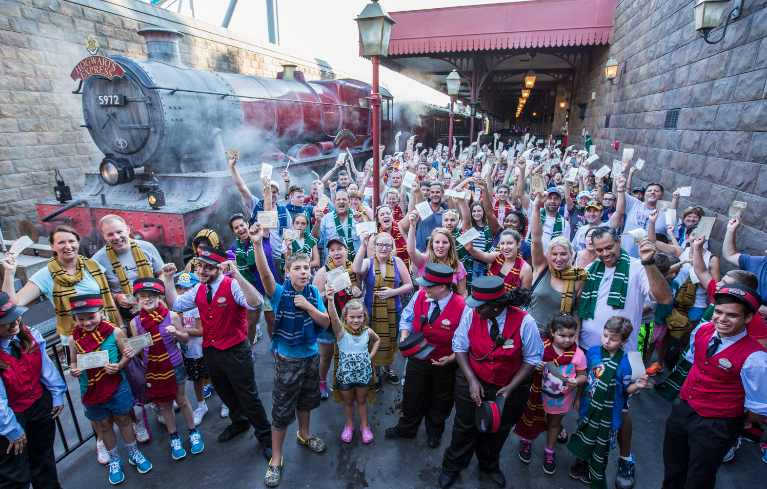 On Thursday, Universal Orlando Resort announced that the new Hogwarts Express Train Ride had it’s one millionth rider. 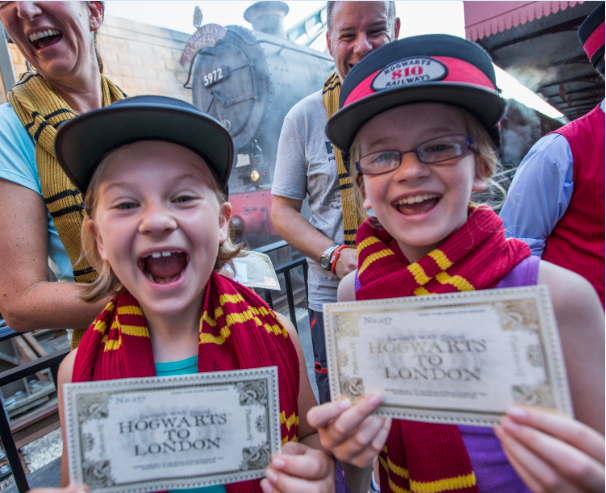 To commemorate the occasion, guests were treated to house scarves, Hogwarts Express train tickets and Butterbeer Ice Cream. The Hogwarts Express, part of the new Diagon Alley expansion at Universal Orlando Resort opened just this past July 8th. To reach the one million milestone in such a short time is quite the achievement. Cheers from guests filled the air at Hogsmeade Station today as Universal Orlando Resort celebrated its one millionth rider on the Hogwarts Express – the iconic train that transported Harry Potter and his friends between Hogsmeade Station and King’s Cross Station in J.K. Rowling’s beloved series. To celebrate this magical milestone, nearly two hundred guests were given complimentary Butterbeer ice-cream.